The Preschool Program is licensed by the Department of Early Education & Care (EEC #291019) and holds an accreditation with the National Association for the Education of Young Children (NAEYC). The program is designed to provide Full-Day preschool slots for parents seeking a safe, healthy, and educational environment for their child. 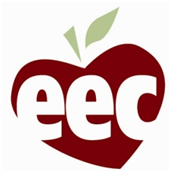 Educators are trained, experienced, and certified by the Department of Early Education and Care. Our educators are knowledgeable about child development and expectations of school readiness skills. We employ nurturing, caring and supportive educators who work together to achieve one common goal: to provide each child with a positive environment ensuring success in accomplishing the development skills of early childhood. We request children arrive in the program by 9:00a.m. This is when the curriculum for the day will begin. Before admitting a child into the program, an appointment must be scheduled with the Preschool Director to provide and go over information pertaining to the child and program. A non-refundable and non-transferable $25.00 registration fee and full week deposit must be provided at time of registration. The $25.00 registration fee will be waived if you choose to make your payments by automatic debit. The deposit will be applied to your child’s ending balance at close of term or with 2 week written notice of withdrawal from the Program. Record of a child’s health care documenting a valid physical, lead screening and immunizations is also required before admitting a child into the program. Curriculum is based on The Creative Curriculum for Preschoolers and the MA Preschool Guidelines. The two are used as a guide to ensure the curriculum is well balanced with specific, planned learning experiences that support the social, emotional, physical, intellectual and language development of all children. Educators develop and implement lessons with goals and objectives that will expand and challenge children’s knowledge. Our literacy enriched environment provides learning materials grouped in centers for children to explore and expand their learning experiences and skills. A daily schedule is followed to provide children with the consistency and balance of activities to promote educational growth. Throughout the day children are engaged in a variety of learning experiences, including individual, small and large group activities. Children also participate in teacher and child directed activities. The Preschool Program is closed for eleven holidays out of the year: New Year's Day, Martin Luther King, Jr. Day, Memorial Day, Fourth of July, Labor Day, Columbus Day, Veterans Day, Thanksgiving Day, Day after Thanksgiving, Christmas Eve, and Christmas Day. The Preschool Program is also closed one day in the Spring for Staff Development Training. (childcare fees still need to be paid on these days). The Club is also closed one week in August, determined by the start of the public school calendar (no childcare fees to be paid this week). All children continuing preschool for the new school year, starting August 26, 2019 will need to re-enroll. All completed enrollment forms, along with a non-refundable and non-transferable $25.00 registration fee and a full week deposit must be provided at time of registration. The $25.00 registration fee will be waived if you choose to make your payments by automatic debit. Registration will be taken by the Preschool Director, Barbara Glanville in the preschool office located in Classroom A. Dates and times in which you will be able to re-enroll your child and register siblings are listed below. If you are unable to register your child during the dates and times listed you must contact the Preschool Director to arrange an appointment. If you do not re-enroll your child for the 2019-20 school year by March 23rd a spot will not be held and we will assume your child will not be returning to the program. Registration forms along with enrollment fees will not be collected by teaching staff and must be given directly to the Preschool Director.